You are our inspiration. The reason we obsess over creating pieces that constantly exceed expectations, down to the smallest detail. Test, test, test, reject, repeat. 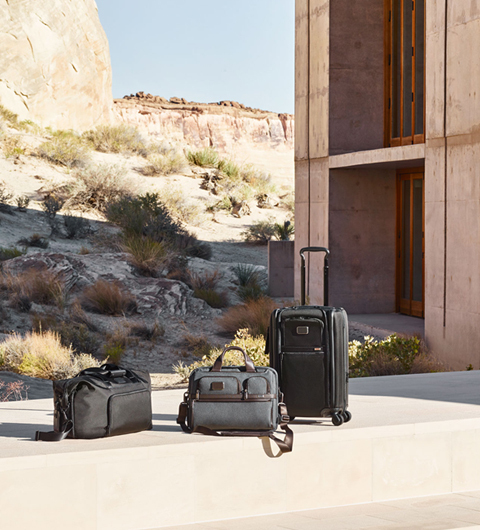 Each and every Tumi product is put through extraordinary paces to make sure it will perform flawlessly. No matter what pressure you put it under. Because things that work beautifully make life beautiful work. Our innovation doesn’t happen in a vacuum. People inspire everything we do. Which is why we take each and every product out into the real world, testing, touching and trying in every imaginable scenario — and ultimately rejecting anything that doesnt upgrade and streamline your life. Security is essential - but our goal is to cut down your time in line. With TSA-approved T-Pass® technology, you can leave your laptop in your bag as it passes through scanners - giving you one less thing to worry about while getting to get the gate. Wireless identity theft — where theives use a small, hidden scanner to pick up the information stored in the magnetic strip of credit cards and IDs — can happen in 12 seconds, and is becoming an alarming epidemic. 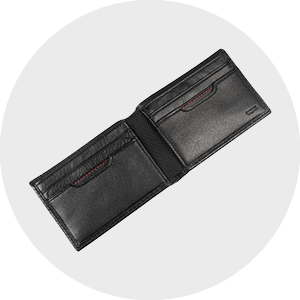 Our RFID-blocking ID Lock material, used in pocket linings, haults the transmission, keeping sensitive information safely unreadable. Our Add-a-Bag technology quickly and easily allows travelers to effortlessly carry two or three items at the same time with one hand. Our patented Add-a-Bag hook holds in excess of 200 lbs. 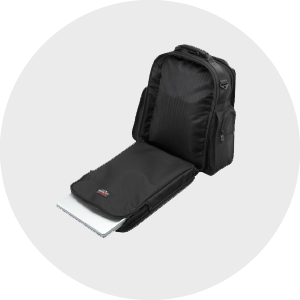 Alternatively, many TUMI business bags, totes and backpacks feature a back sleeve that slips over luggage handles allowing travelers to stack and carry multiple items. 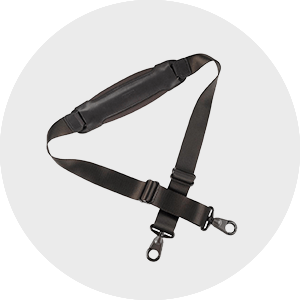 Move with greater ease with our patented shoulder strap design. The metal loop joints that attach the straps to the shoulder pad help keep the bag from sliding off your shoulder as you move. We seek it. We study it. Yes, we obsess over it. From aeronautics to automotives to sports—we’re constantly inspired by the world’s most innovative industries. And with 125+ patents to our name, our fervor for forward thinking is what keeps us ahead of the curve. Our patented system reduces the risk of damage to the zipper and makes replacing one unnecessary. 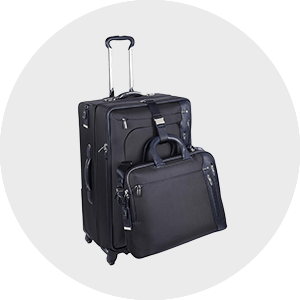 A complimentary program that reunites TUMI customers with their lost or stolen bags. This construction method reinforces the corners of hardside cases with heavy-duty stitching and impact-resistance caps. Our state-of-the-art in-line wheels incorporate sealed steel ball bearings and are mounted on solid steel axles in custom-designed, shock-absorbing bushings. They roll smoothly and quietly for hundreds of miles. Water-resistant linings for designated shoe pockets. Detachable pouches fitted with card slots and key rings. Zip-around interior dividers that convert into storage when not in use. We bring our obsessive design ethos into the smallest details of our products, because we believe that’s where they matter most. Really, who wants to fish around for their keys once they reach the car, or search for business cards while trying to hold intelligent conversation? We’ve been there, and we’ve created these solutions so you don’t have to. Customer service doesn’t even begin to cover it. We go above and beyond. When you purchase a TUMI, you also purchase a promise that if something goes wrong, we’ll fix it. If it breaks, we’ll repair it. If it’s lost, we’ll help you track it down. The world is not a predictable place. Luckily we are experts at handling the unexpected and always on standby with solutions and services. With over 260 locations around the globe, we're here to help you no matter where you are in the world. Stop by any store for timesaving services like zipper pull and handle repairs, immediately completed on-site – we'll have you on-the-go again in no time. How many times have you hoisted a packed bag by its handle? We put the telescoping handle through a series of pull and jerk tests to make sure it won’t pull out of the case. We pack the bags to capacity and put them in a large tumbler that tosses them around relentlessly. Cases have to sail through 125 cycles to meet our standards. The competition cracks between 15 and 60 cycles on average. Suitcases routinely go from 120 degree tarmac heat to icy cargo holds at 35,000 feet. We test in extreme temperatures, so from Siberia to the Gobi, your case won’t buckle, crack, shrink, expand, distort or otherwise underperform. Need to squeeze in one last pair of shoes? No problem. Your zipper has been extensively tested, and won’t tear.